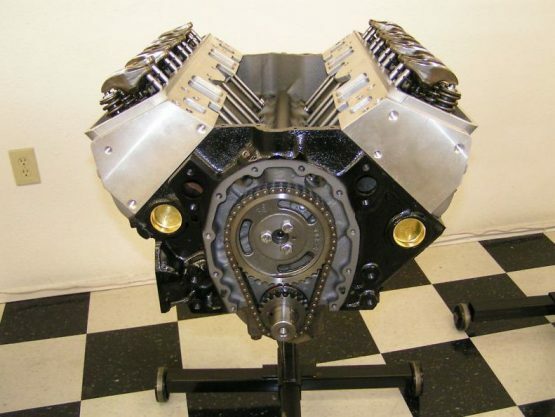 CHEVY 383 450HP 430ft-lbs STROKER ENGINE – EPM Machine Co.
Lightweight 383 Steel Crankshaft.Hyperutectic Flat-Top Pistons 10:1 comp ratio. HP Gear Drive Timing Set. NEW 64CC Aluminum Cylinder Heads, 190CC intake ports with NEW Stainless Steel Swirl Polished 2.02/1.60 valves, Comp Series Springs .530 Lift, Bronze Valve Guides, Hardened Locks & Viton Seals.